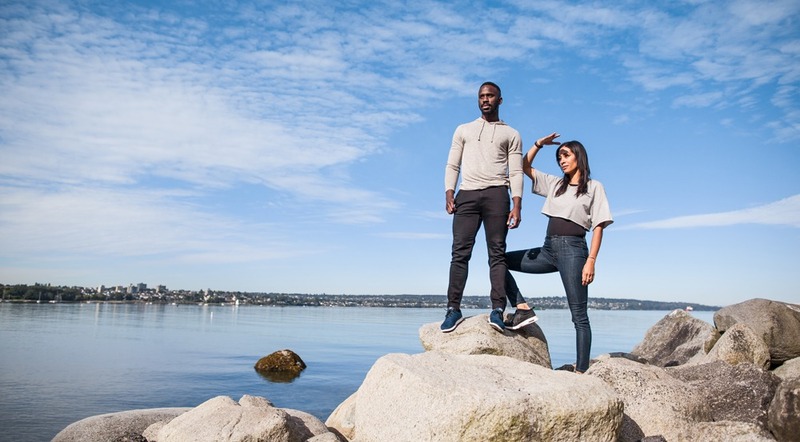 Since 2013, Dish & DUER has been shaking up the athleisure fashion industry, trying to create the most comfortable, stylish, and functional apparel. Founded in Vancouver by Gary Lenett and Abid Hafeez, the company took the duo’s 50-plus years of expertise in both the denim and performance fabric industries and meshed them together, creating the performance denim brand. Starting with a pop-up in Vancouver in 2015, the company has since expanded to opening a brick and mortar flagship store in Gastown, and they’re far from done. We had a chance to chat with Lenett to find out how the company has grown, what challenges they’ve faced, and what’s next. Where did the Dish & DUER name come from? 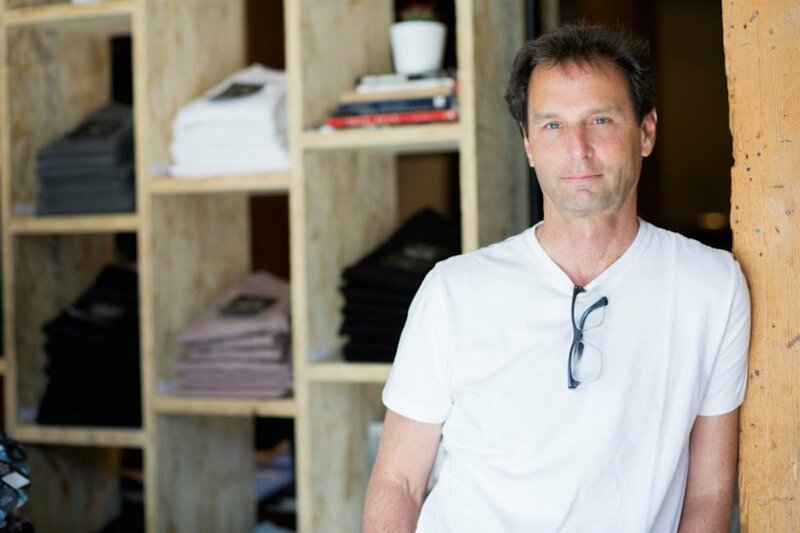 The name DUER comes from the desire to create a brand where people can “do it all.” DUER symbolizes being able to do everything you want to do in a day without having to change your clothes. As an avid cyclist, I was frustrated when I couldn’t find clothing that transitioned from the bike to the office to dinner out with my wife. So I decided to create a brand to solve that problem. Dish is a legacy brand that started as a young women’s brand, and has since come back as performance denim. Similar to DUER, the name Dish stems from the idea of “dishing it up” by getting ready to face the day. In shorter words, Dish is about just going for it. What was it like going from pop-up to opening up your first brick and mortar flagship store in Gastown earlier this year? It’s been a wild ride and definitely a mix of emotions. Pop-ups were amazing for us because of the instant feedback we would receive from our customers. It was very exciting to see everyone’s reaction firsthand and how they interacted with the products by jumping around and testing them out. I quickly realized people wanted a permanent store, so we decided to give it to them. Since we opened our Gastown flagship store, it’s been nothing less than exhilarating. It was a no brainer for me that our flagship had to be as unique as our products. So we incorporated a playground, allowing our customers to test out the clothes in the adventurous, playful way they’ll be wearing them. The results have been incredible and the feedback we hear on a daily basis inspires me to continuously create innovative garments. What are some of the biggest challenges you’ve faced since opening the flagship? The biggest challenges the first year of doing anything is that it’s hard to anticipate demand. When Dish & DUER started, I never expected that the brand would grow so fast so quickly. I was confident in the products but I didn’t expect to have the immediate demand that we do, which has meant some periods when we’re sold out of our best selling sizes or colours. We’re working hard on our operations to make sure we always have what customers want when they come in. It seems like there are tons of new clothing brands opening up regularly, how do you stay ahead of the curve and stand out? Our main focus is to create products that solve a problem for our customers. We’re not driven by fashion trends. I don’t even pay attention to trend reports because everyone reads the same thing and then creates the same product. We are unique because we actively listen to our customers and create functional yet fashionable clothes based on their lifestyle needs. We talk to people, we figure out what they want and we solve problems in a distinct way. No one else is doing that. What’s next for the brand both locally and globally? 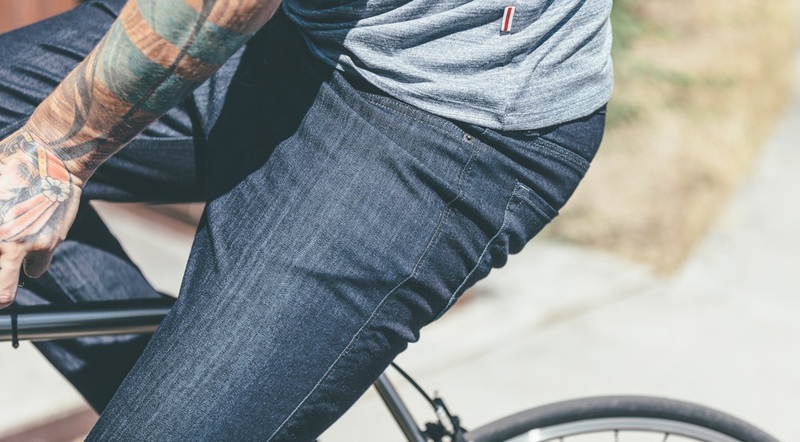 It’s so surreal to think about what’s next, because this business started with a very simple, personal problem – wanting to wear jeans on the bike that I’d also wear to work. Obviously it’s gotten a lot bigger than that, so I’m just going with it. Locally, we are looking to expand and grow the store. This will allow us to offer a larger variety of clothes and get more people into the pants and the playground experience. We will be launching two new fabric collections within the next few months, and will be expanding into other categories like woven shirts with the same technical benefits as our pants. Outside of Vancouver, we are currently gearing up to launch pop-up locations across North America in 2017.